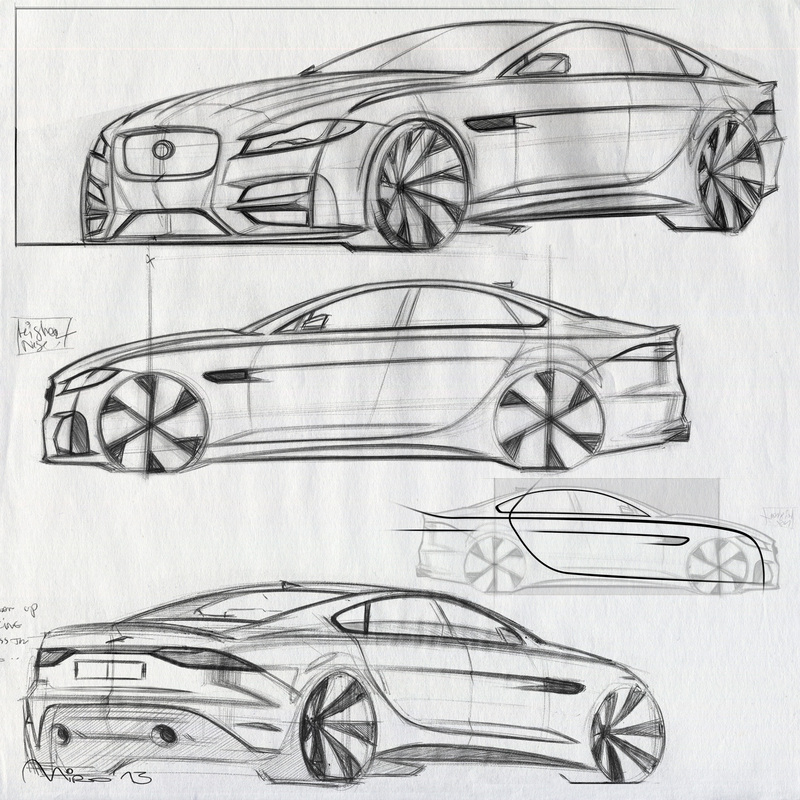 Jaguar Bespoke Coupé Sketch. Pen on paper with Photoshop. Year 2014. Copyright © 2019 Miroslav Dimitrov. 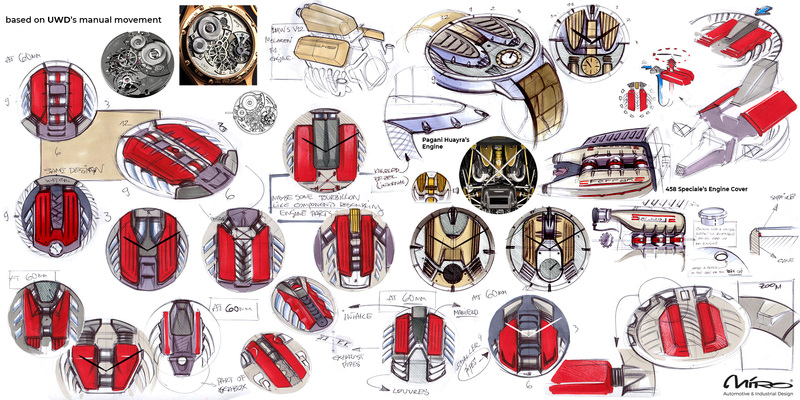 Luxury watch design sketches based on the German UWD movement. Year 2018. Copyright © 2018 Miroslav Dimitrov. 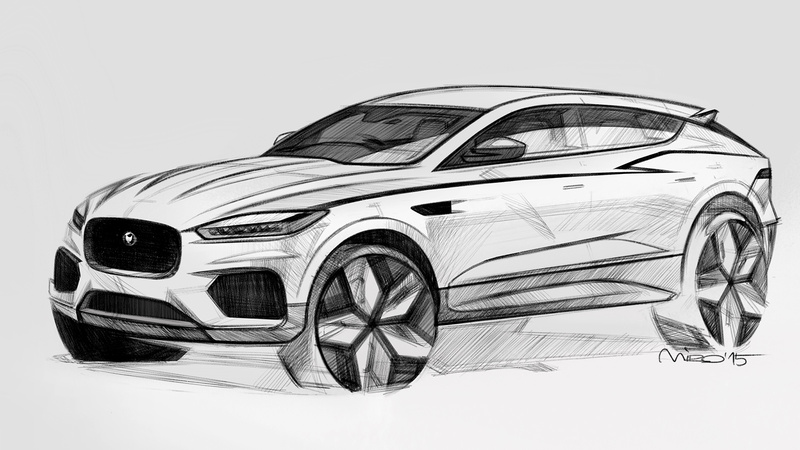 Early design sketch of the Jaguar E-Pace featuring horizontal headlamps and traditional Jaguar front end theme as well as new solution for the side sill. Year 2015. Copyright © 2018 Miroslav Dimitrov. 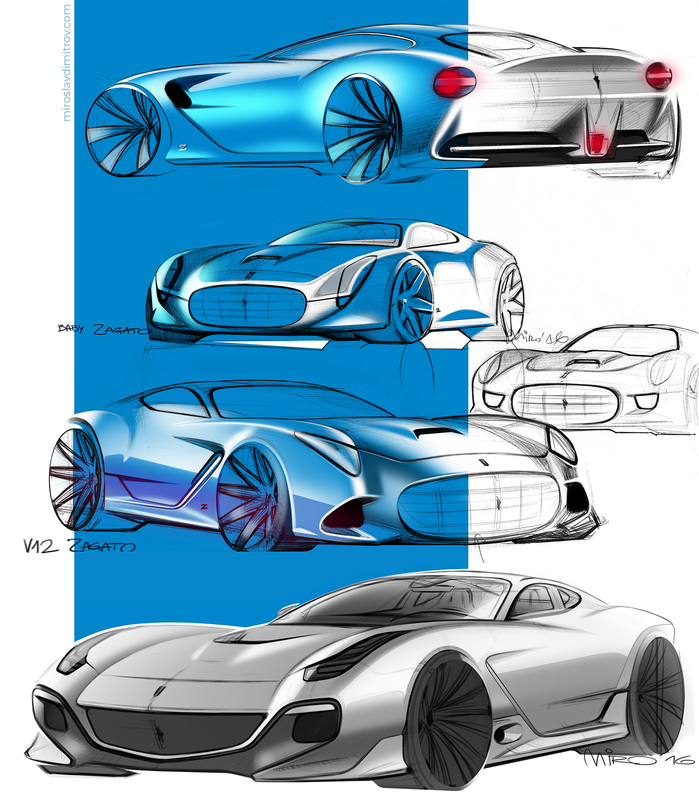 Ferrari V12 Zagato Sketches. Pen on paper with Photoshop. Year 2016. Copyright © 2019 Miroslav Dimitrov. 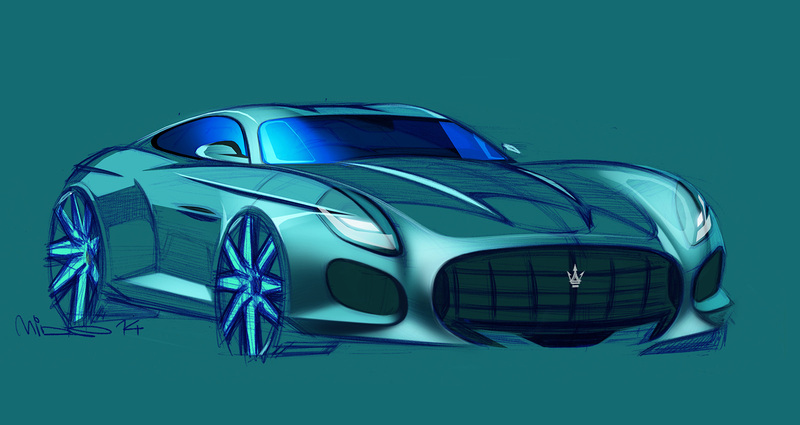 Sketch of a Zagato styled coachbuild Maserati Coupé. 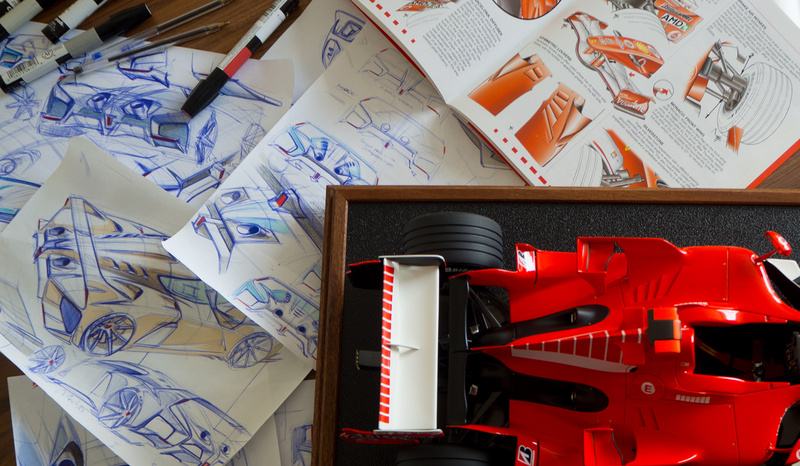 Ferrari F12 Berlinetta would have been the perfect donor car for this One-Of sports car. Year 2014. Copyright © 2019 Miroslav Dimitrov. 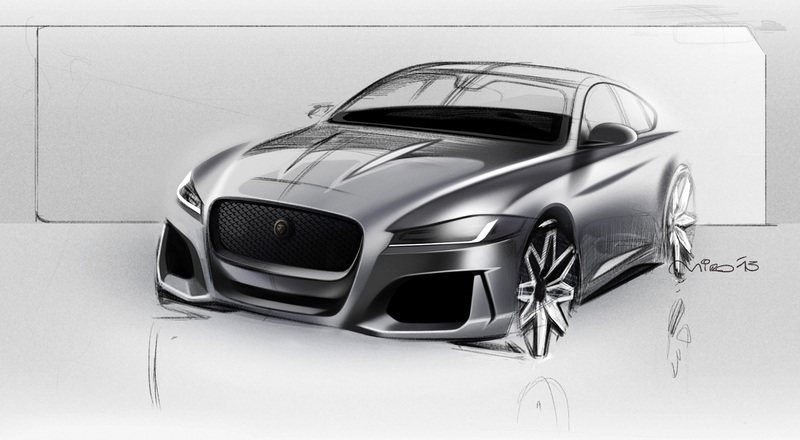 Jaguar XF Exterior Design Sketch. Pen on paper. Year 2013. Copyright © 2019 Miroslav Dimitrov. 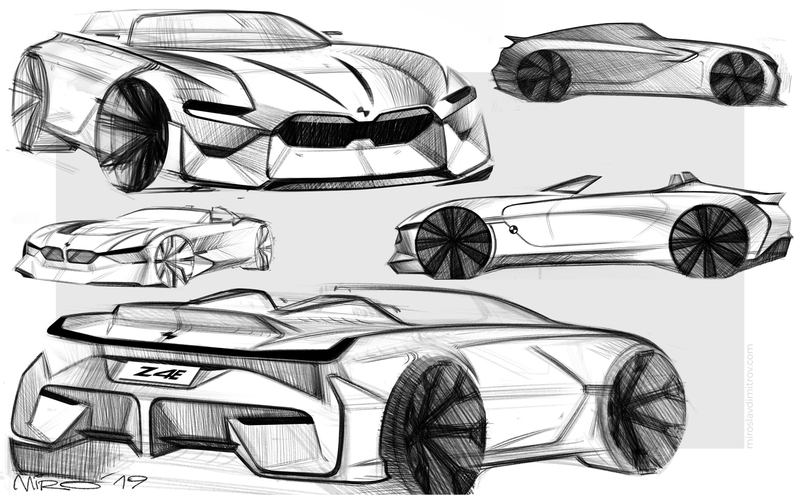 Jaguar XF’s original front theme sketch by Miroslav (top left) and walk-up derivatives featuring base & top spec version of the car. Copyright © 2019 Miroslav Dimitrov. 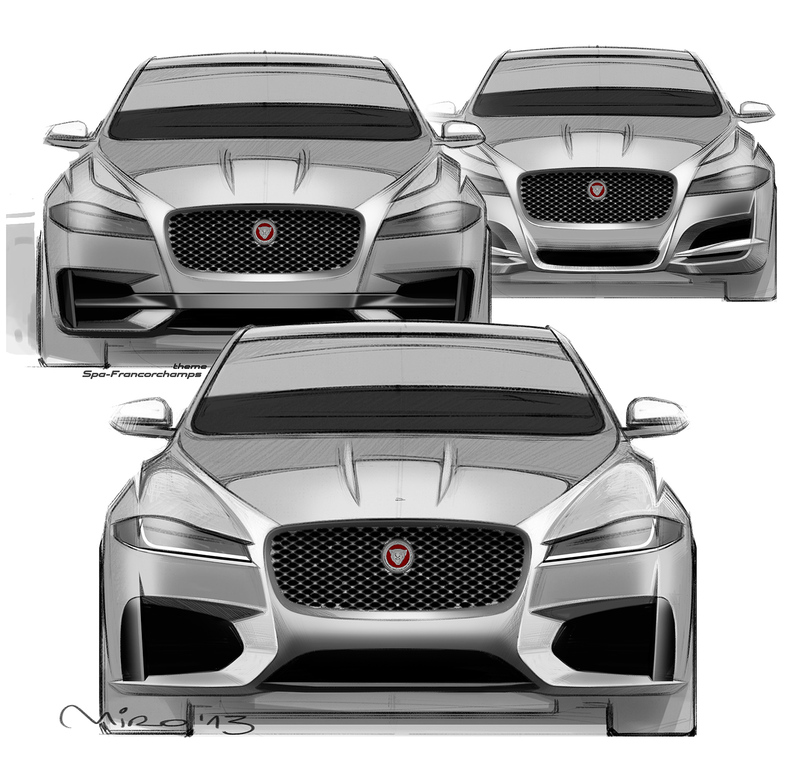 Jaguar XF Exterior Design Sketch. Pencil on A4 paper with Photoshop. Year 2013. Copyright © 2019 Miroslav Dimitrov. 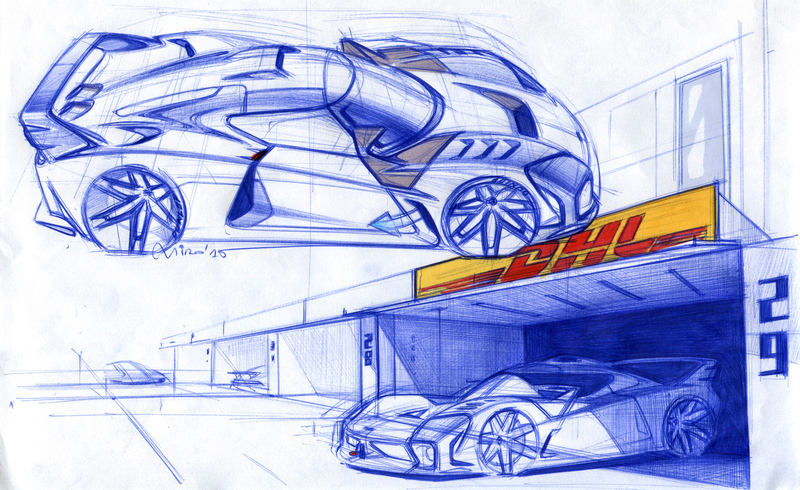 Early development sketch of Ferrari 599XX featuring a bolder and more distinctive theme for the side-wing-sill. Pen & pencil on A4 paper. Pen & pencil on A4 paper. Year 2008. Copyright © 2019 Miroslav Dimitrov. 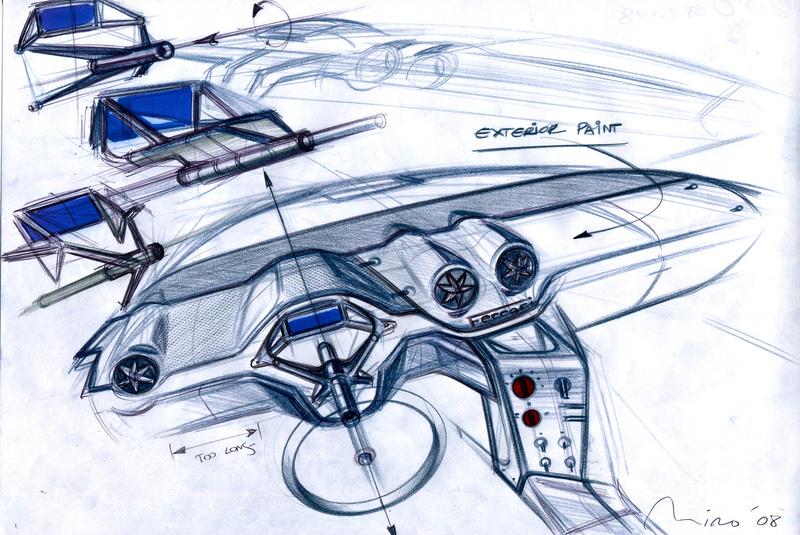 Ferrari 599XX Interior Design Sketch. Pen & pencil on A4 paper. Year 2008. Copyright © 2019 Miroslav Dimitrov. 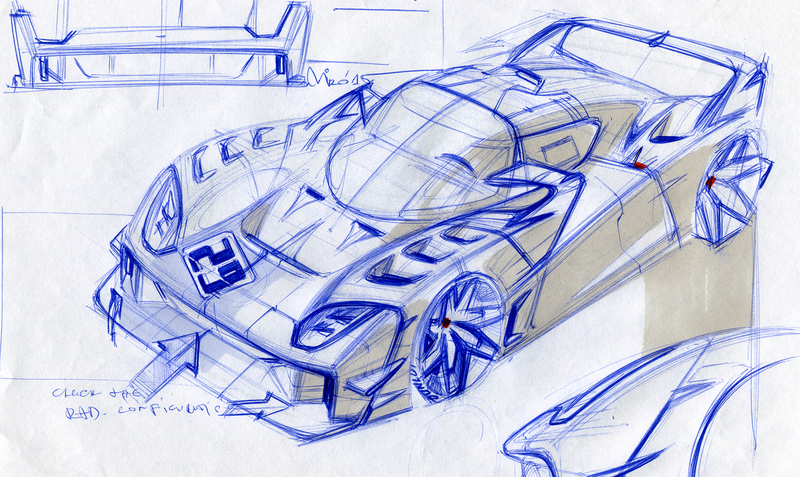 Lancia Rally Sketch. 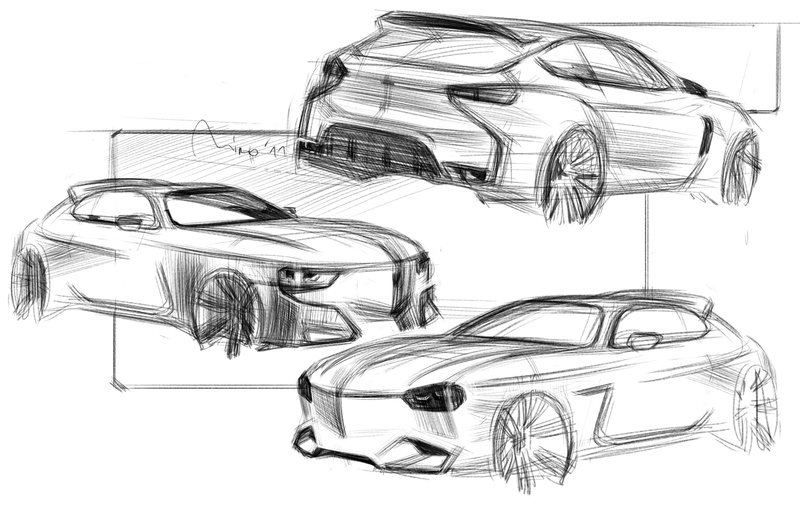 Digital sketch on Photoshop canvas using Wacom Intuos. Year 2011 . Copyright © 2019 Miroslav Dimitrov. 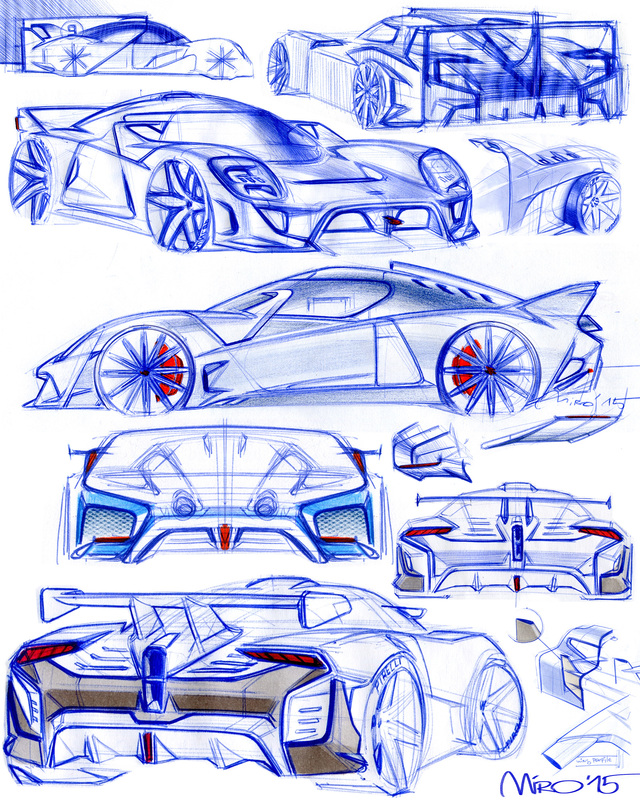 Misc Maserati sports car sketches. 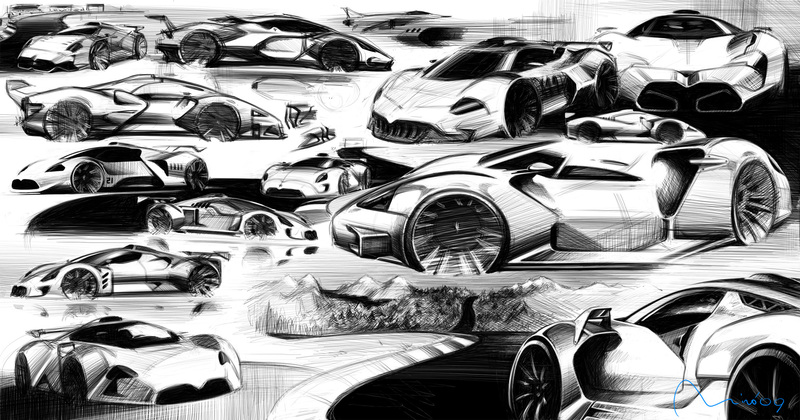 Digital sketch on Photoshop canvas using Wacom Intuos. Year 2009. Copyright © 2019 Miroslav Dimitrov. 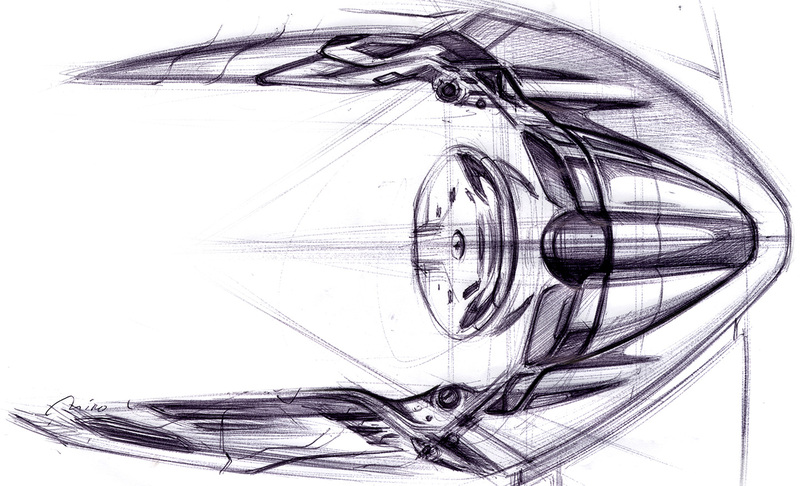 Ferrari 458 Interior Design sketch made for Auto & Design publication. Pen on paper. Year 2009. Copyright © 2019 Miroslav Dimitrov.